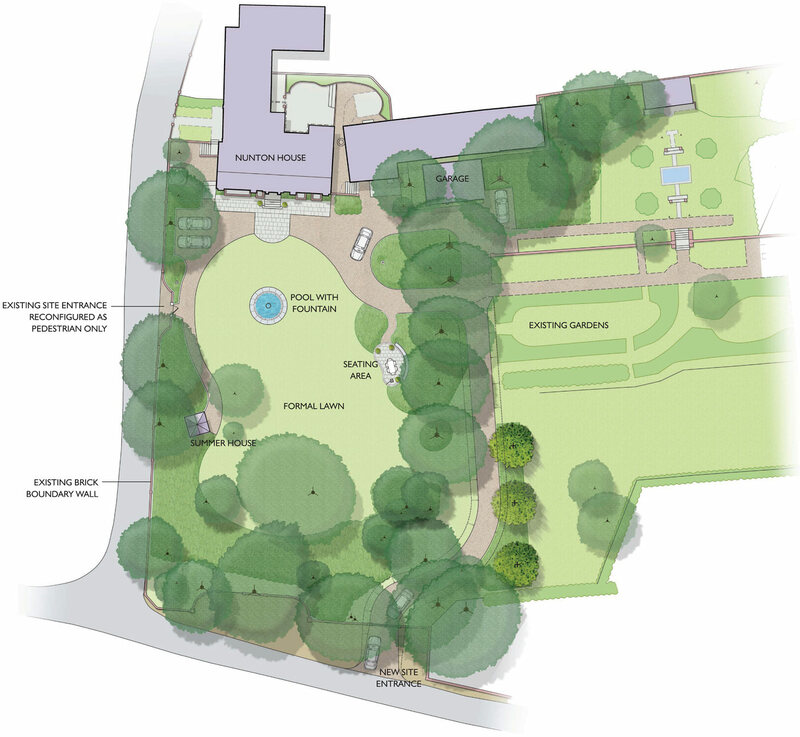 A sensitive design to relocate the entrance and driveway approach to a Grade 11* listed property. Working with historic reference material, Indigo designed a new access drive to the property which more closely resembles the original route, allowing part of the garden to reconnect with the house as originally intended. Careful coordination with the arboricultural consultant was required to allow the driveway to meander through trees thought to be over 250 years old. Elaine Milton Heritage and Planning – Heritage.